As I've stated here before, I am Bipolar I & I have Season Affective Disorder. This time of year is always a challenge for me, as I tend to veer a little to the manic in early spring. "March Madness" is an accurate moniker. "Mad as a March hare" also applies here. So, it always a crap-shoot as to just how my mania will manifest each spring. Good times. Anyway, I wasn't aware of this fact for what feels like a very long time indeed. I was married at the time, and was working in a job environment that was toxic to my spirit. I didn't know why I was so sad most of the time, especially since I had everything I "wanted" at the time. One day I signed up to go along with another women in my office to a Working Women's fair at a local hotel. I neither knew nor cared what the fair involved, I was just glad to get out of the office for that day. 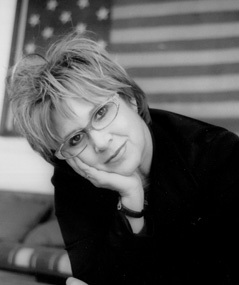 Carrie Fisher was the keynote speaker. Who doesn't love Carrie Fisher? Apparently, no chica my age, because the poor woman was mobbed by adoring throngs of young women praising her as a role-model for women's empowerment in the Star Wars trilogy. You could tell by her expression that she thought they were all insane. I liked her right away. Being a literary sort I had read several of Ms. Fisher's books, starting with Postcards From the Edge. I had devoured her work, identifying with many of her zany characters. When it came my turn to have a little face time with her I mentioned how much I loved her writing. She cocked an eyebrow at me, "You look a little young to have read my books." (I was 22) "Oh, no, Ms. Fisher! I've read almost all of them, and I think they're great!" And that was that. Into the hotel meeting hall I went with my co-worker, eager to hear Carrie Fisher's witty monologue. When Carrie stepped up to the podium I didn't know what I was expecting to hear about. Maybe some comedy (she's a very witty lady) or some dish about her notorious family tree. There were plenty of both of those things, sure. But what was amazing about her talk that day was how she opened up to the audience, with warmth, humor, and a few tears, about living with Bipolar disorder. Midway through her talk I was nearly in tears. My coworker asked what was wrong with me. I answered her, "I think I have Bipolar disorder." It was like Ms. Fisher had held a mirror up to my face with her speech. I recognized the painful lows, and the maddening yet scintillating highs, the monomania, the excesses, the loss of control. The next day I scheduled an appointment with my doctor to talk about my suspicions. Soon after that I was hospitalized (in March, natch) for Bipolar disorder. I was diagnosed Bipolar I, with Season Affective Disorder. I began a long string of chemical therapy to treat my symptoms. It took years, but my doctors finally found the right chemical cocktail to keep me at an even keel. Carrie Fisher turned much of the monologue she shared with us at that conference into an autobiography titled Wishful Drinking. She has no idea how much of a difference her words made to me. I am horribly certain that, had I not received treatment for my disorder, I would not be here today. I was thinking about her a lot this week because of the death of her step-mother, Elizabeth Taylor. She tweeted: "If my father had to divorce my mother for anyone- I’m so grateful that it was Elizabeth." So, thanks Carrie Fisher. You're one of my heroes, and not because you played Princess Leia. In which I assure the world that rumors of my death have been greatly exaggerated. So, you may have noticed that its been a while since I've written anything here. Not that it should matter, because I embrace the whole "Blogging Without Obligation" movement, and I sincerely believe that if you don't have something to actually say, you really should keep your blogging to yourself. However, I haven't been blogging recently because, as you have probably also noticed, this is a very Athena-focused blog. That's been hard for me because, well, ever since my grand pilgrimage to the Nashville Parthenon in January Athena has felt very... distant. How can I express this without sounding like a loon? If I tell you that Athena hasn't been speaking to me, would you even accept that at one time She was? Okay, let me try this from a different angle. I'm not just a Hellenic Polytheist. Sometimes I doubt that I ever really was one, or, rather I just worshiped the portion of the Pantheon that I felt like when I felt like. I'm not just a Pagan. I'm a witch. It's probably the only fact that hasn't changed about me in the last twenty years. I am irrevocably and whole-heartedly a witch. I've immersed myself in every form and flavor of Craft I can get my greedy little fingers on, and I keep coming back to the same place. It's a witchcraft that has a very old feel to it. Some call it traditional witchcraft. In the past I've called it woodcut witchcraft (for the striking woodcuts of Craft produced during the 16th & 17th centuries), Cochrane's craft, Sabbatic craft, Treading the Mill, etc. Anyway, it's what I do. It's what I'm doing. And I'm going to write about it here, when I feel like, regardless of keeping to a blog "theme".